Conference phone usage has become a necessity for many of the businesses. More than just a communication mode, the vast potential benefits the conference phones gains for the business is substantial. The conference calls can be utilized for large meetings, exchange of up to date information or monthly information, bringing the services together and it can be a greatest strength to the establishment where decisions need to be made quickly. The device to initiate the conference calls is the conference phone which enables the users to listen and talk to the same call. The remote calls are making connection to the conference phone in room via Conference Bridge that links the telephone lines together. Conference calls are used mainly for the business meetings and sharing the corporate reports. It has multiple advantages to the establishments in terms of cost and time. The focus should be pointed to conference phones as well. As far as the business is concerned, quality conference phones are an asset to any organization that need constant meetings with the clients abroad, presenting the minutes of the meetings with the employees and other data exchange. Quality phones means better communication. As everyone distinguishes, Avaya is the global leader in the vertical of communication systems. Avaya delivers an exceptional user experience in your organization with a wide choice of quality conference phones that encompasses robustness and productivity. The highly refined conference solutions offers smart sound features to the larger conference rooms and board rooms. We are positioned as the strategic leader in offering the IP solutions in Kerala and other parts of emirates. Now our clients can experience the importance of conference call through Avaya conference phone systems. These conference phones offers easy to use communication solutions for small and medium organizations. These phones covers every meeting in detail which is truly a great step in enhancing the productivity. As a market leader in IP telephony services in Kerala, we help you to streamline your existing conference infrastructure or deploying a new conferencing systems with Avaya conference systems/Communication systems. From the planning phase to design and implementation phase we help you to achieve the communication objectives in detail in accordance to your budget and practicability. If you think now is the right time to deploy or restructure your conference systems our various solutions are in offer for you. 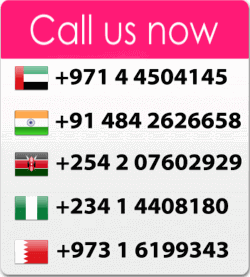 Please contact us for a reliable conferencing solutions in Kerala. As the pioneers in offering the IP telephony systems in Kerala, we deal with all types of VOIP solutions across the entire India region. We make available you all the feasible solutions that stands out with the branded conferencing systems and more. We plan, implement and incorporate the conference systems that suits your business atmosphere thus making your business more dynamic. The other conference phones we provide includes the Snom conference phones, Grandstream conference phones, Yealink conference phones and Panasonic conference phones. Our IP conference solutions are intended to be as simple as you need.